Why did Admiral Kimmel and his staff ignore the warnings in 1941? He was the commander at Pearl Harbor and there had been warning signs for weeks. Yet they joked in a staff meeting when told intelligence had lost track of the Japanese aircraft carriers. The sneak attack was imminent and began before sunrise, Sunday December 7, 1941. Kimmel and his staff were victims of groupthink, according to Yale psychology researcher Irving Janis who identified the characteristics leading to irrational decisions by groups. Where wisdom and ethics rule a group’s decisions, diversity of thought and the freedom to offer suggestions helps to create the group’s success. But when self-interest or incompetence drives the group’s direction, bad decisions usually result. Why do groups of generally intelligent people make or support such dumb decisions? 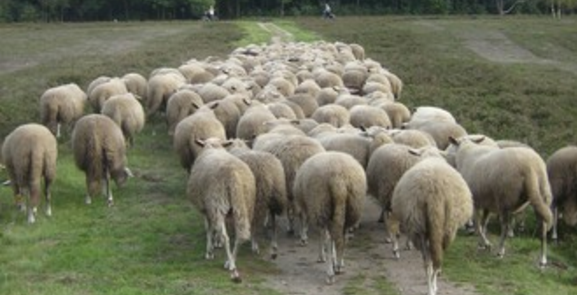 Janis found groupthink occurs when people begin thinking like a herd instead of individuals. The herd provides harmony and the acceptance for those who conform. When conformance is paramount, critical thought is suppressed. It’s like that old song, “where seldom is heard a discouraging word”. Anyone with a dissenting view is often viewed as disruptive, awkward, and perhaps even an enemy. Groups operating this way become blind to facts that don’t align with the group’s culture or mission. They live in a world where agreement and protecting the group’s self-interests are more important than truth. Groupthink can happen in any area of society; the military, politics, businesses, or even local government. To avoid groupthink, questions should be asked before making a decision. Are the facts solid, or are they cooked up? Who’s pushing a particular idea and how do they benefit? Are there comparable real-world examples of success? Is this action cost effective? A good decision process is not comfortable. There will be disagreements, but if a good process is followed the decision quality is improved. Our Clark County version of GroupThink: A recent example of local groupthink was the push for commuter rail into Clark County a few years ago. Commuter rail is a relic of the 19th century and was largely abandoned soon after the automobile became affordable. The reasons are obvious. Rail has big disadvantages in the modern world. A rail car can only go point-to-point where the rails are—which is usually not where the citizen needs to go except in large cities with high-density destinations. The schedule is rigid. Rail is slow and requires transfers with other modes of transportation at one or both ends of the rail segment. Finally the costs are terrible—and made worse by the corrupt culture of politicians, government transportation departments, and special interest mega-project contractors. While it might have been quaint in 1896 taking the buggy in the rain to meet Aunt Tillie at the train station, not so much in today’s world. Then why did political and business leaders in Clark County aggressively promote light rail into Clark County? Why did they ignore the facts? Why did they ignore the horrendous costs and serious disruption to downtown Vancouver? Why do they ignore the needs of people? Why do they ignore the dearth of riders? In Clark County the financially motivated special interests and transportation ideologues (who want you out of your cars) hijacked the planning process for the I-5 Columbia River bridge replacement project. Over about a five year period, these people created the environment in which most of the local politicians, business groups, and business leaders became convinced of the project’s legitimacy. Then, as a few citizens stood up to challenge the corrupt and defective plans, the downtown Vancouver group clearly exhibited the groupthink symptoms and group structures listed above. It was a text book example of destructive groupthink.